Fellowship Reviews: For What It’s Worth: A Blue and Gold TV Series? Why Not? For What It’s Worth: A Blue and Gold TV Series? Why Not? 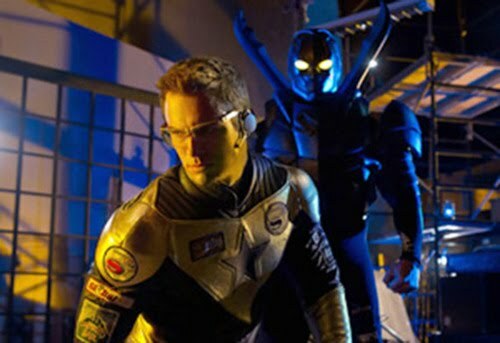 After seeing the images released this week of Booster Gold and Blue Beetle from the upcoming Smallville episode, I was thinking "why not a Blue and Gold series?" The premise is simple, Jaime Reyes, a normal young man is encounters a mystical scarab that fuses with him. The scarab can manifest a number of powers at its own volition, starting with body armor and going from there. While trying to control it and decides what's next when he encounters Michael Carter - Booster Gold. Michael created the Booster Gold identity, traveled into the past to become a superhero and gain fame and fortune based of his knowledge of future events. I think it would be an unique team-up. 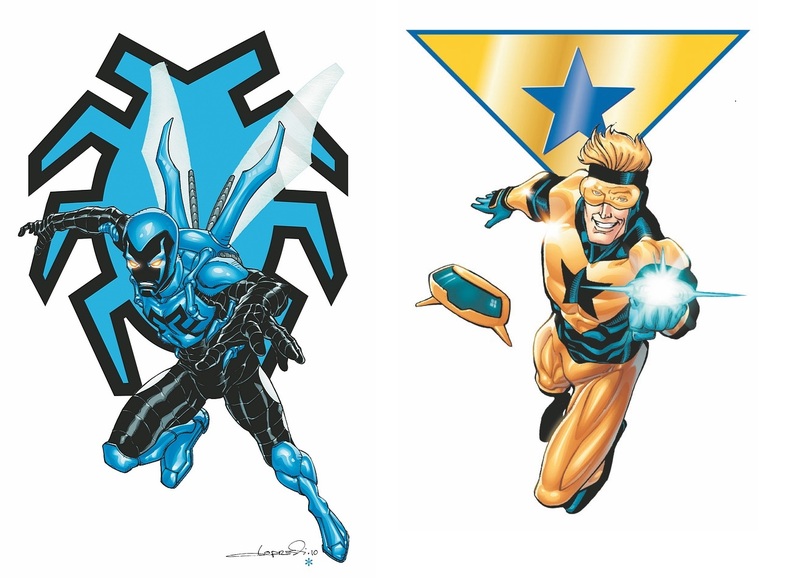 While I would love to be Ted Kord to be involved, I think this would be a great show just Jaime and Booster.